In the past we have talked about the pros and cons of having a company as trustee of your Self Managed Superannuation Fund. However, regardless of whether your trustees are individuals or companies, you still face difficulties if one of your members is classified as a “disqualified person” under the Superannuation Industry (Supervision) Act 1993 (SISA) and is unable to act as a trustee of their SMSF. Who can be a trustee of a self managed superannuation fund? a responsible officer of the company is a disqualified person (a responsible officer includes a director, company secretary or executive officer) – Remember each member must also be a director of the company. Can a child under the age of 18 be a trustee of a SMSF? Now just over four per cent of SMSFs established in Australia are four member funds consisting of mum, dad and two children. As a consequence, a number of these funds happen to have members under the age of 18. As a child under the age of 18 cannot be a trustee, they can instead appoint a parent, a legal personal representative, or a guardian to act as a trustee on their behalf. The only time that an individual cannot appoint anyone else, such as a legal personal representative, to act on their behalf is when they themselves are a disqualified person. Gold and Platinum Members read on for some real life examples of how past indescretions can come back to haunt SMSF Trustees and how the ATO deals with it. What can someone do if they are a disqualified person? Under section 126B of the SISA, if someone is a disqualified person, they can apply to the ATO for a waiver of their disqualification status. It is advisable that this action is taken as soon as possible as it is an offence for a disqualified person to act as a trustee of an SMSF. The potential penalty that could be imposed is imprisonment for two years (for a criminal offence) or a maximum $10,200 fine. It is also an offence if the individual does not advise the ATO once they become a disqualified person. The potential penalty is a maximum of $8,500. How does someone apply for a waiver of their disqualification status? When an individual applies for a waiver of their disqualification status the application must be in writing. However, the individual should only consider applying for a waiver if the offence leading to them becoming a disqualified person is not an offence involving serious dishonest conduct. Under the SISA, an offence involves serious dishonest conduct if the penalty imposed by the Court for the offence is a term of imprisonment of at least two years or a fine of at least $20,400. So unless the fine or penalty imposed upon a disqualified person is less than $20,400 or two years imprisonment, the application for a waiver may not be considered. The type of cases I have come across while auditing SMSFs are where members of the SMSFs are undischarged bankrupts. There have also been situations where during the course of an audit I discovered that a member was actually a disqualified person without the person realising it. It certainly pays to know that the definition of a disqualified person has a low threshold and people who may have committed minor stealing offences as teenagers may have their pasts come back to haunt them in their middle age. To read detail of these scenarios (the names have been changed to protect privacy), please click on the links provided for (Pt) and (Au) members. This article was prepared by Monica Rule. 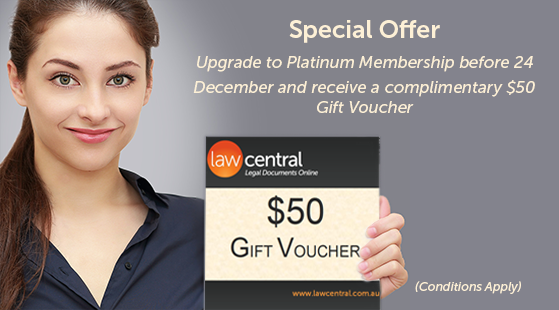 Monica is the author of The Self Managed Super Handbook: Superannuation Law for Self Managed Superannuation Funds in plain English (available from Law Central – click here).